The flashing colored lights. The energy. The majesty of the keytar. 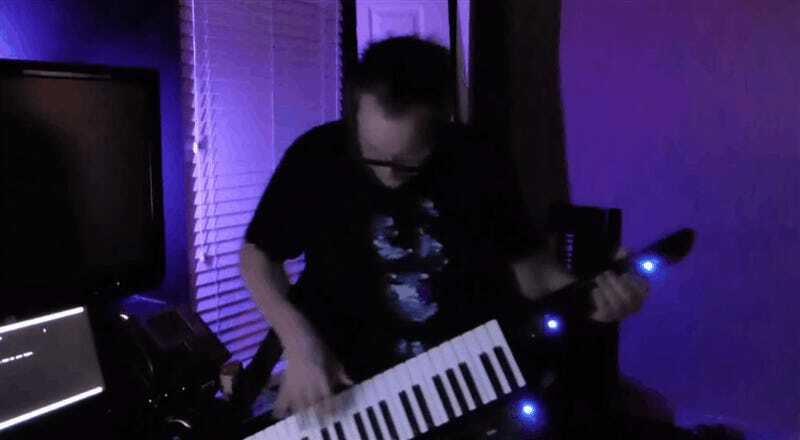 Rush Coil’s Sonic the Hedgehog Green Hill keytar performance is my new inspirational jam. I’m not being facetious. I am not poking fun. I’ve watched this video a dozen times since former co-conspirator Owen Good posted the video on Polygon yesterday, and it keeps getting better every time I watch it. I’ve wanted a keytar for forever. I play a little guitar and a little piano, though neither with anything near professional proficiency. I’m pretty sure it’s because the guitar does not have keys and the piano doesn’t let me strap it across my chest. Combine the two and I would attack that instrument with as much enthusiasm and joy as Rush Coil here.